It’s mock draft time where everyone can be Ted Thompson. I waited a little longer this year to post this blog. I wanted to see what the other mock drafts believed the Packers pick might be. 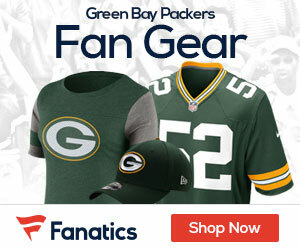 To no Packer fans surprise, no “draft expert” has a clear idea on who the Packers might pick. The Packers are picking twenty first. By then all the game changers will be gone. Or will they? Aaron Rodgers at twenty four comes to mind. What are the Packers needs? Offensive line needs a legit center, the Packers still haven’t replaced Collins at safety, a receiver to replace Jennings and Jones, and an inside line backer would be nice addition. Let’s look at the offense. First and foremost Rodgers needs to be upright and healthy. There’s no way we’re winning a super bowl with Matt Flynn. Taking a look at the offensive line, the first question is Sherrod and Bulaga going to be healthy? Is the center position really stable? Imagine if Tretter gets hurt, TJ Lang at center? Thompson could bring in a veteran center, not another Jeff Saturday he hopes. Also, another tackle would be a good idea, without knowing at this time if Bulaga, Sherrod, and Barclay can fill the role. I’m sick of hearing next man up. Rodgers finally has a running game. Thank the football gods. Know we need a tight end to stretch the field just like Finley did. Sorry, Finley is not coming back. Austin Seferian Jenkins from Washington is interesting but the word is he never lived up to potential. There are other draft needs on offense like receivers. Bruce Ellington from South Carolina he’s undersized but extremely athletic, could be used as kick returner that would take pressure off Cobb. This is an extremely deep position in the draft. Let’s move onto defense. The past years on defense have been wildly inconsistent. The defensive line is getting old and it is doubtful Jolly will be back, Pickett if he is back is only good for limited plays. Raji, well we all know what he’s good for. That means we have Boyd, Worthy, Jones, and Daniels. Daniels is the only one making plays. There are players here but Donald Jeremiah from Pitt is the true game changer.He’ll be off the board. Look for the Packer to pick a guy you never heard of in round four or five. Next up, are the line backers. I know it sounds crazy but Thompson signed a free agent Julius Peppers. I know a lot of people think he has nothing left but teams still have account for him. With Perry, Neal, Hawk, Matthews, Jones, Mulumba all back. CJ Mosley is the only choice here. He can stop the run and cover the tight end out of the backfield. He should be available at twenty one. Last, but not least, the secondary. It needs Shields and Williams to step up. Hopefully Casey Hayward can make it back. Thompson has never replaced Collins and it does hurt. Collins was on his way to a hall of fame career. If Calvin Pryor is there at twenty one it is a no brainer. He’s a physical safety that could bring back the safety position to the Pack. 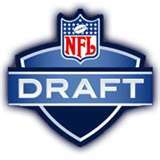 I leave it up to my fellow Packer nation; who will you take with the first pick in the NFL draft?